Have you ever felt silence? Or heard it roaring in your ears and been struck by how loud it is? Have you ever sat down in a comfy chair, put your feet up after the children were sound asleep, and just listened? To the endless tick, tick, tick, tick of the clock, to the quiet appliance noises, to distant traffic? Have you really listened and heard the slow, steady rhythm of the waves from the sound machine and the deep breath of a sleeping child? Have you taken time to feel the warm sun on your face, to really see the shafts of gold light it casts over table and chairs? Have you looked out over a frozen world and remembered that God is in control, that He formed the tiny branches right outside the window - even as you cooked and cleaned beside it all last year? Have you absorbed what it means that He knows how to clothe that tall willow tree in fresh spring green and that He will do so once again in two short months? Can you grasp the fact as you look at that tree top, that God's hand will be right there, right in your yard, on your tree, breathing a fresh breath of life into it? What will you be doing when He whispers "unfurl" to those tiny leaves? How near will you be? Will you feel the touch of His presence as He passes close and tends His earthly garden? Have you stopped and looked over your home as the silence undulates around you? Have you noticed what the little things about your home are telling you? The couch cushions scattered over the floor, the legos, the red tractor, the open songbooks, the library book, the doll blanket? What are they telling you in the silence? 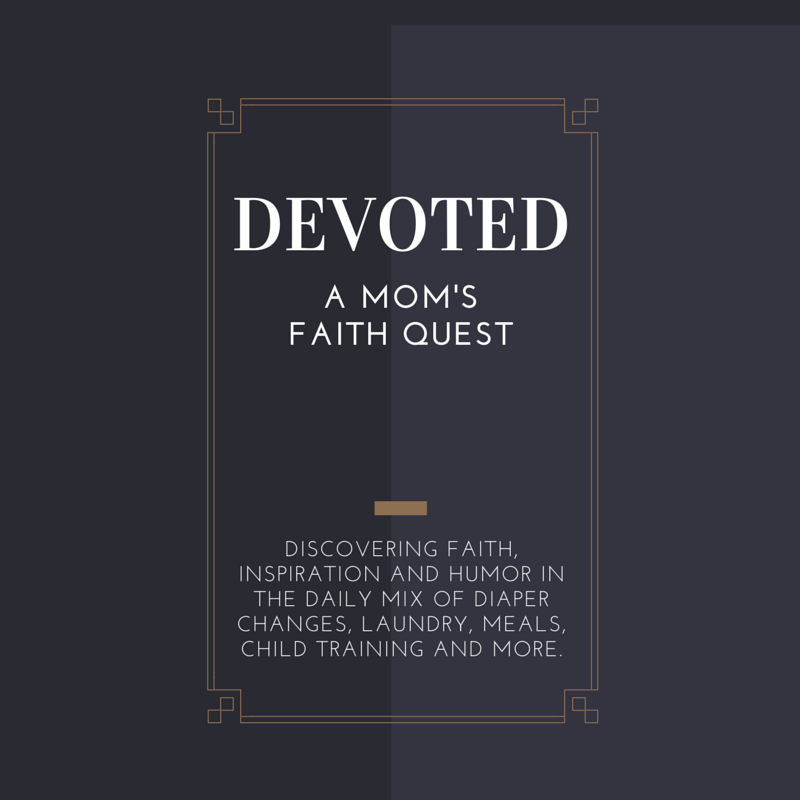 The dirty dishes piled around the sink with the not-so-sweet aroma rising from them, the laundry waiting in the washing machine and the wrinkled shirts in the dryer are telling a story. If you'll listen, if you'll stop, if you're ready... if you're ready, you'll hear it. I am blessed. I am blessed. I am blessed. God has been here. God has passed through my home and left tangible signs. He has showered gifts on us, so many we cannot really fathom what to do with them all, how to store them, which to keep, which to pass on, and how to thank Him. He has given us so overwhelmingly many gifts for so long, we have forgotten at times that not everyone receives these gifts in great abundance. Some hold a single gift with both hands, carefully, as a true treasure. 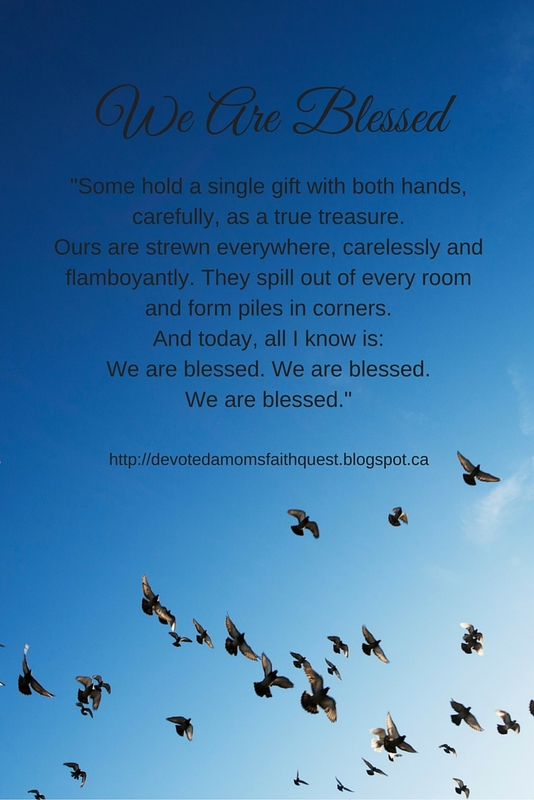 Ours are strewn everywhere, carelessly and flamboyantly. They spill out of every room and form piles in corners. 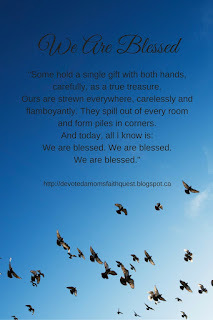 We are blessed. We are blessed. We are blessed.